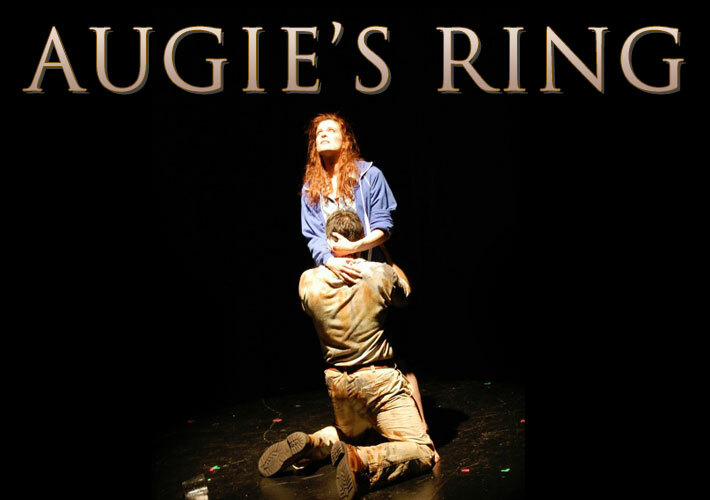 Augie’s Ring is a gritty urban play about two white trash addicts who ruthlessly brutalize each other in an effort to ward off the bitter pain of existence. He, a grief stricken neighborhood legend with a towering reputation for physical violence and she, a conniving snot noised Dalila who’ll do nearly anything to get her drink. The collision all to true, heartbreaking, and often down right hilarious.